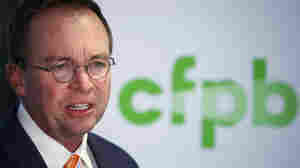 January 31, 2018  The ruling is the latest development in the legal fight over the Consumer Finance Protection Bureau supporters say combats predatory lending and other abuses. 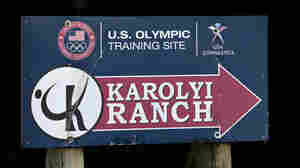 Critics say the agency is too powerful. January 31, 2018  President Trump's plan to invest billions into fixing the nation's crumbling infrastructure may burden state and local governments and lead to a greater reliance on tolls. January 31, 2018  Once you get a satellite, you need to find a large tube filled with explosive fuel to take your satellite to space. Luckily, there is fierce competition among rocket makers to give you a lift. In the second of three-part series, Planet Money travels from California to New Zealand to see which rocket with blast their satellite to the stars. 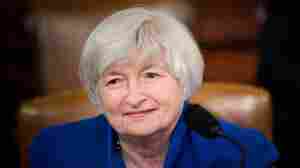 January 31, 2018  It's Janet Yellen's last week running the Federal Reserve. 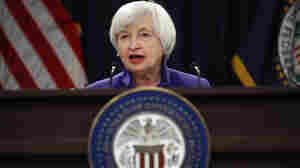 A speech she gave last year illuminates an economic mystery — and the boldness she brought to the Fed. January 31, 2018  The deal signals the end of independence for a once-iconic U.S. company. 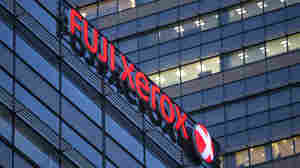 Tokyo-based Fujifilm said it will cut 10,000 jobs as part of the restructuring of its 56-year-old joint venture with Xerox. What Do Amazon, JPMorgan Chase And Berkshire Hathaway Have Planned For Health Care? January 31, 2018  Amazon, Berkshire Hathaway and JPMorgan Chase announced a joint company that will use technology to lower health care costs. NPR's Steve Inskeep talks with Kevin Schulman of Duke University. January 31, 2018  We look at President Trump's claims about jobs and wages and his infrastructure proposal from his first State of the Union address. 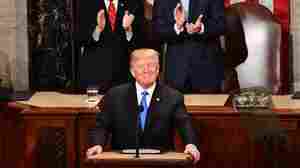 January 30, 2018  President Trump made his pitch for the nation's agenda in Tuesday night's address. Read the full speech, with context and analysis from NPR journalists. January 30, 2018  The Walker County Sheriff's Office has already been investigating the allegations by multiple athletes of molestation that happened when they were training at the ranch. 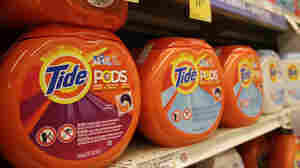 January 30, 2018  The pace of poisonings in the so-called Tide Pods Challenge continues to grow. The candy-like appearance of the packets draws easy criticism. Procter & Gamble says it's not planning a new design. January 30, 2018  NPR's Ari Shapiro speaks with Steven Halper, managing director at Cantor Fitzgerald about Amazon, Berkshire Hathaway and JPMorgan Chase's announcement that they are creating a new health care company.